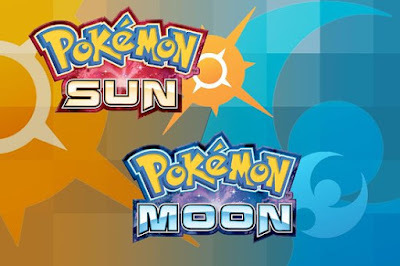 As Pokémon Sun and Moon have been out for a number of months, the total number of Pokémon in existence now stands at 802. With so many Pokémon, you may wonder, how is anyone supposed to select a favorite? Thankfully, the list can be narrowed down quite a bit due to some of them literally being garbage. Even with those out of the way, there are still a lot to choose from. Fortunately, one amazing Pokémon stands head and shoulders above the rest, despite standing only 16 inches tall. That Pokémon is Swablu. Now, I can already hear the haters beginning to come out of the woodwork. They say “Scott, this is a game where it’s possible to capture the god of the Pokémon world and use it to fight pigeons; why would I pick what appears to be a cross between a Q-Tip and a parakeet over that?” Well for one, that god can be beaten by a purple rat, which poses some interesting theological questions. With its cottony wings, adorable little feet, and winning smile, Swablu is undoubtedly cute. 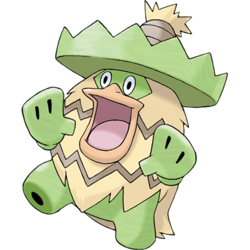 The billowy wings this small creature has allow it to have one of the highest FPSI (fluffiness per square inch) of any Pokémon in existence. As an acquaintance of mine once so intelligently put it, “fluffiness is a virtue.” If this wisdom is to be believed (and it should), then Swablu is quite possibly the most virtuous Pokémon around. Furthermore, this is not an idle virtue. As its Pokédex entry states, it uses these wings to clean things that are dirty in its habitat, making it the world’s tiniest environmentalist. Not only is Swablu fluffy, but it puts its fluffiness to good use, which is something not all creatures can say. 2. It Evolves into a Dragon . . .
Now, I know that for many of you, being fluffy will not get Swablu into your favorite Pokémon spot. Such an honor requires grit and determination, not looking like the type of Pokémon that would order a Unicorn Frappuccino if it drank coffee. Well I will have you know that this unassuming bluebird evolves into a dragon. Okay, so maybe it doesn’t look a whole lot like a dragon, but rest assured, Altaria is a full-fledged dragon type with all of the privileges and responsibilities of one. And besides, it’s 2017: we should be able to look past initial appearances and realize that it’s what’s on the inside that counts. 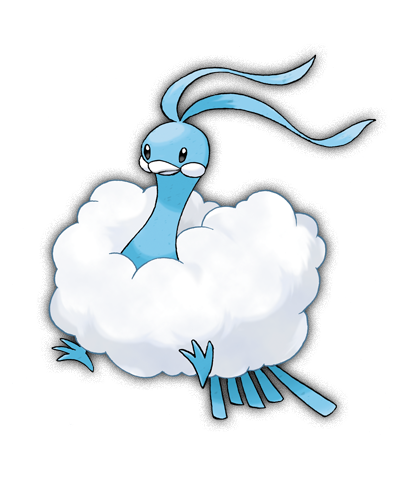 Swablu is a Pokémon that clearly took Shia Labeouf seriously when he said, “Don’t let your dreams be dreams.” People talk all the time about ugly ducklings becoming swans, but who really wants to be a swan? Swans are ornery creatures that just happen to have good PR. Swablu, on the other hand, took one long look at that story and dared to dream bigger. How much bigger you may ask? Heck, even with its Dragon status fully confirmed, our adorable bluebird decided to go further. Dragons? Pfft, there are lots of them. They show up in all of the fantasy movies and take up the entire CGI budget and get killed off in some overly formulaic manner. 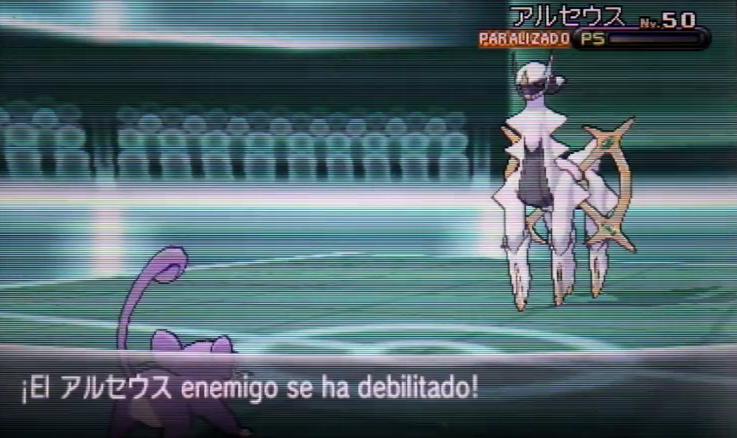 Why not try to one-up that for a mega evolution? Why not try to be a Dragon that is also a Fairy? That’s right folks: Mega Altaria holds the proud distinction of being the only Dragon/Fairy combo in the Pokémon Universe. Swablu is one giant “told you so” to all of the parents who shot down the dreams of seven-year-old girls who wanted to be princess-astronaut-doctors. 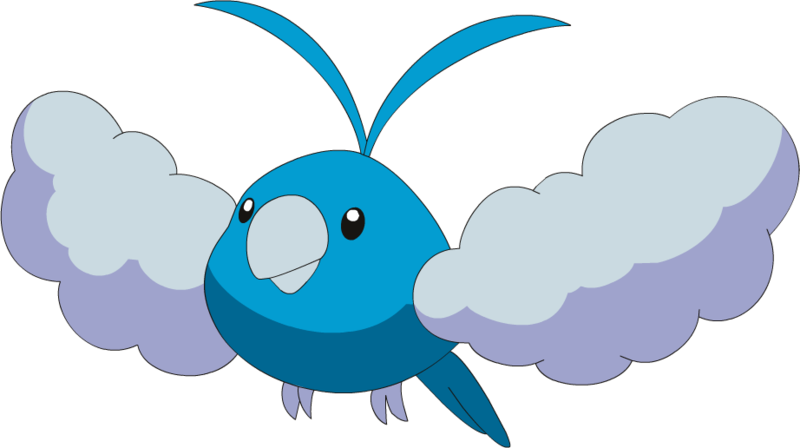 Swablu isn’t the type of Pokémon that’s going to let people bring it down or give up when its back is up against the wall, which is a good thing, because …. Being a dragon type is good and all, but a fancy title is meaningless if you don’t have the skills to back it up. 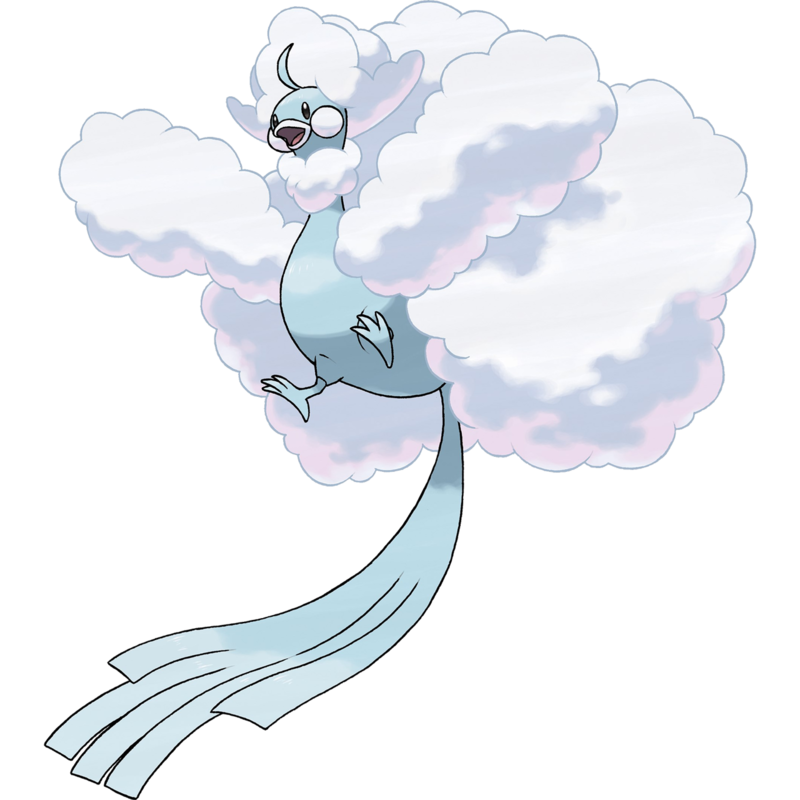 Thankfully, Swablu and its evolution Altaria surely deserve a place in your Pokémon team in any game you can find them in. However, its performance in Pokémon Colosseum shines above the rest. Generally considered the black sheep of the series, it introduced “snagging” shadow Pokémon rather than catching them in the wild, which wouldn’t be a big deal if most of the ones you could catch were any good. 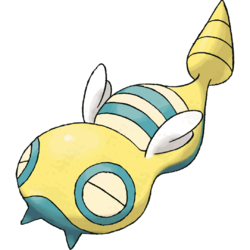 This is not the case: there are only 49 snaggable Pokémon to choose from, and one of them is Dunsparce. With a Pokémon selection this bad, the game could effectively be a nightmare were it not for the appearance of Swablu. The instant you can snag our adorable bird friend, he’s absolutely needed as you fight Mirror B and his 4 Ludicolos. With annoying water/grass typing and a rain dance strategy that can wall your under-leveled team, flying type attacks are your only hope. 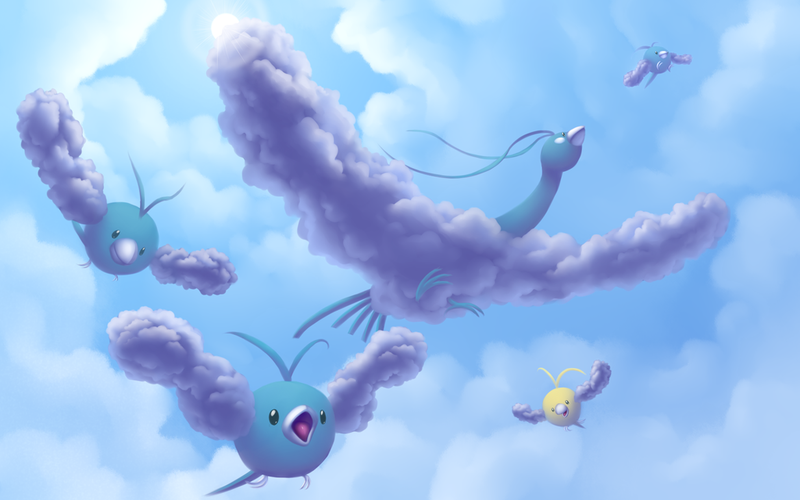 Naturally, as a bird, Swablu has flying in spades. With those dastardly pineapples out of the way, Swablu’s utility only increases. It evolves into one of only two dragons in the game, it’s immune to earthquakes, and it’s durable in a game with few chances to heal. With combat abilities like this, the only way this thing gets any better is if it's made of gold. Oh wait …. Now before anyone points it out, I’m well aware that William Shakespeare once said, "All that glitters is not gold.” What he really meant to say, though, is that something that looks like gold could be even better than actual gold, like a Swablu. 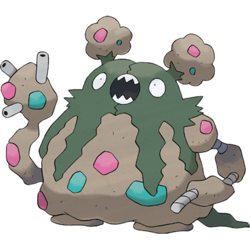 For all their rarity, most shiny Pokémon are pretty boring and typically alternate between a slightly darker shade of the original and being an ugly green color usually reserved for dining hall meatloaf. Gold coloring, on the other hand, effectively makes shiny Swablu the Ponyboy Curtis of the Pokémon world. I mean, at this point, this is all getting a bit excessive: Swablu not only turns into an awesome dive-bombing dragon who is also sometimes a fairy, but can also be a golden sparkly dragon who is also sometimes a fairy. What more do you people want? What could possibly top this? Well then, the ante has truly been upped. If you didn’t go “d’awww” after reading that, you might not have a soul. 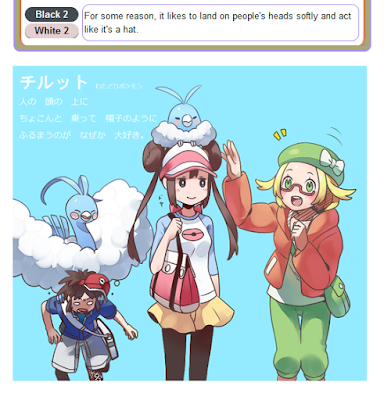 I can only imagine that in the Pokémon world, every spring when all the Swablus migrate back up north, whole towns of people suddenly have Swablus on their heads as they go about their daily business. And really, wouldn’t people be so much happier if this were the case? Could even the most hardened cynic truthfully say that the world is garbage if every time he or she walks out the door there is a chance that a fluffy bird wants to be their hat? The answer is no, no they couldn’t. Not all Swablus may be gold on the outside, but it is clear here that all Swablus have a heart of gold on the inside. And at the end of the day, isn’t that what really matters? Any Pokémon can be big, tough, and scary with attack moves capable of ripping holes in the space-time continuum, but much rarer is the Pokémon that can win over our hearts and give us something to aspire to. Shouldn’t we all try to be more like Swablus in our daily lives? Why not strive to be more kindhearted and reach out to people, while still holding onto dreams of greatness? Though, you might want to rethink the landing on people’s heads part. They might not like that when it’s a 100+ pound human instead of a 3-pound bird. Do you have a favorite Pokémon? If so, sound off in the comments section below.